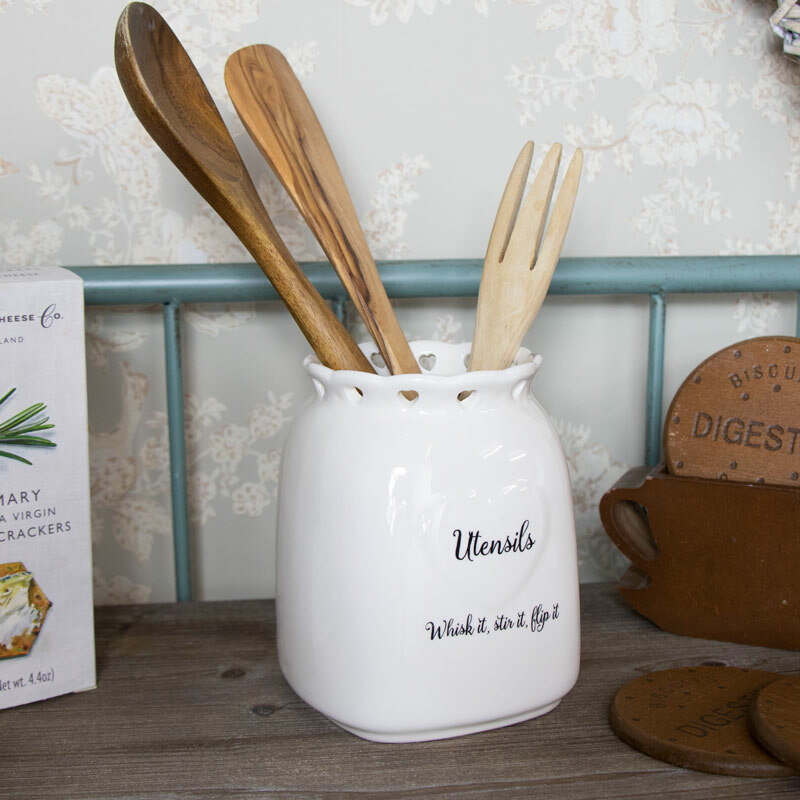 Keep your kitchen organised with this handy and very pretty utensil holder. Perfect for a country kitchen and just what you need for holding all your sppons and spatulas. This pretty pot will look great with the matching crockery. In a cream glazed finish with an embossed heart on the side and delicate heart cutout detailing on the top. Make your kitchen pretty with this set of crockery. 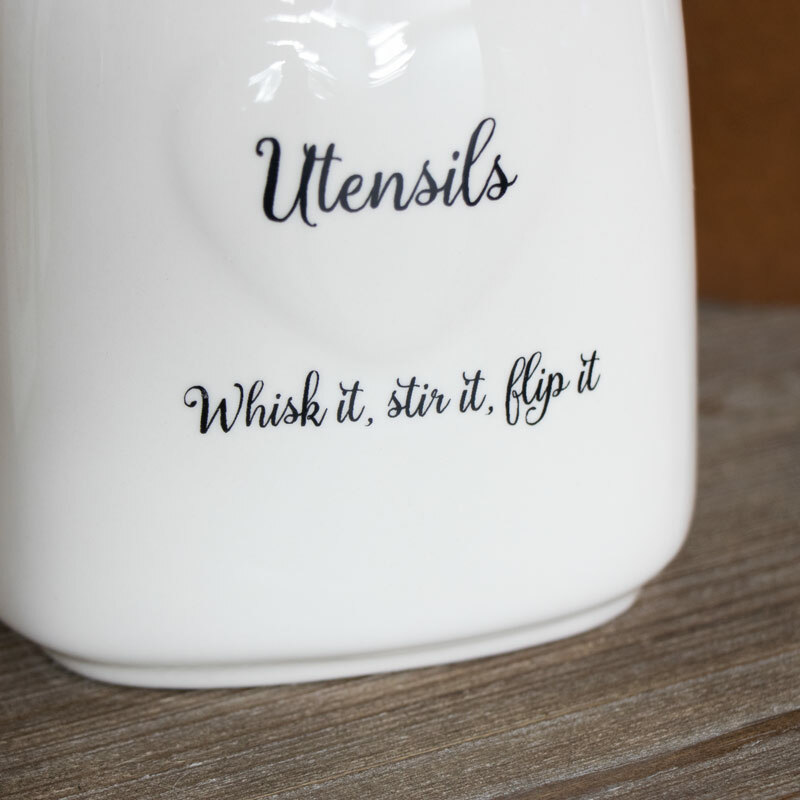 Keep your kitchen organised with this handy and very pretty utensil holder. 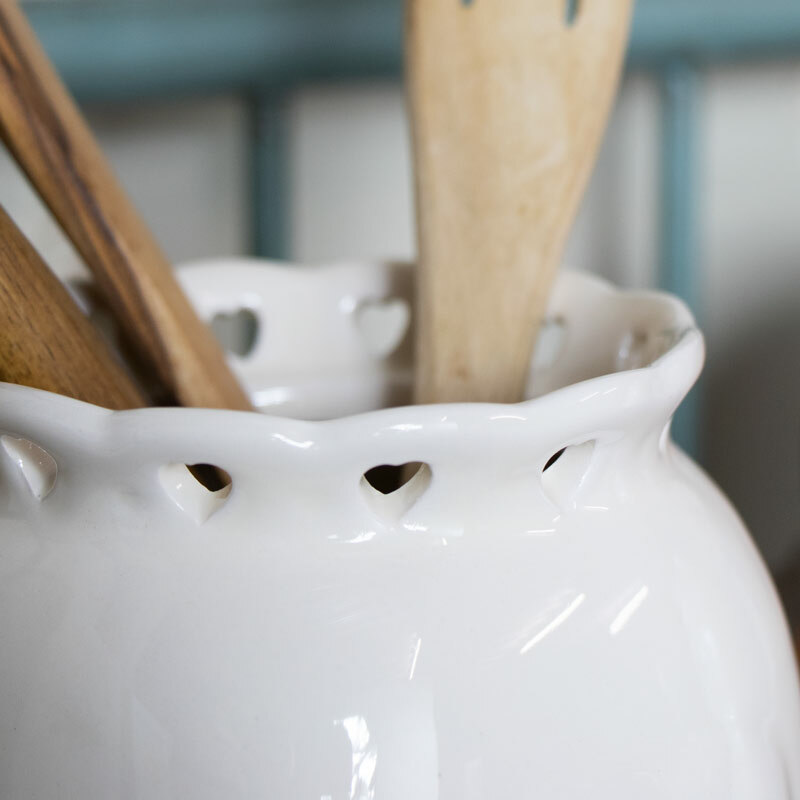 Perfect for a country kitchen and just what you need for holding all your sppons and spatulas. This pretty pot will look great with the matching crockery. In a cream glazed finish with an embossed heart on the side and delicate heart cutout detailing on the top. Make your kitchen pretty with this set of crockery.